The University has constituted following cells/bodies to ensure quality education/ support or assist the students. The cell is committed to maintain the standards of quality education in the University, by incorporating various amendments and making necessary changes in the existing framework for betterment of educational system. IQAC review the course pattern, examination/evaluation system, teaching-learning, students-feedback/audit academic performance and make necessary amendments as required from time to time. The cell is aimed to bridge the industry academia gap, by providing a platform for internship of students as per market requirement. The cell assists the students in jobs/placements by conducting campus/off - campus placement drives. Cell is established with the objective to create interest in entrepreneurship & awareness among the students about the various schemes/policies framed by the state/central government to entrepreneurs. 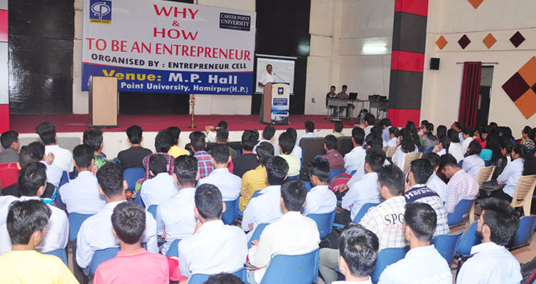 The cell advises the students that why and how to be an entrepreneur. 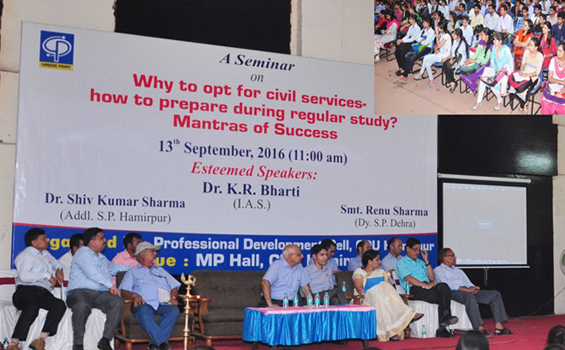 The cell helps the students in preparing Civil Service Exams like; IAS/IPS/IFS, CDS, HAS, Allied Services, Judiciary Service, Engineering Service and competitive examinations like NET/SET/GATE etc. General studies courses are well integrated in the curriculum with a credit associated with it. Community development cell is working to benefit the local community in vicinity of the University. The cell has adopted Mahal Panchayat (backward panchayat) for upliftment of living standards of residents. Regular Blood Donation Camps are organized in the campus. A unit of NSS registered with the Government of Himachal Pradesh has been established to undertake various social activities and other various national programmes. The university is in continuos process of empowerment of women. Self defense training is imparted once in a semester to girl students and female staff. Presently 46% girl students are studying in the university. H.P. 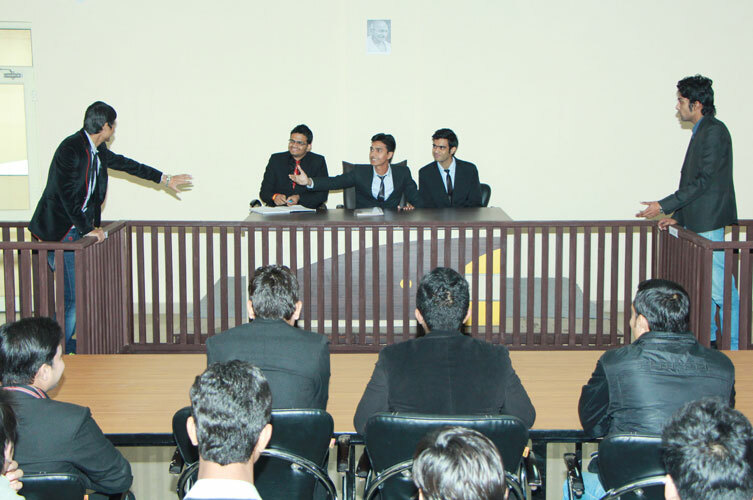 State Legal Authorities Shimla has sanctioned and setup a Legal Aid Centre in the University. 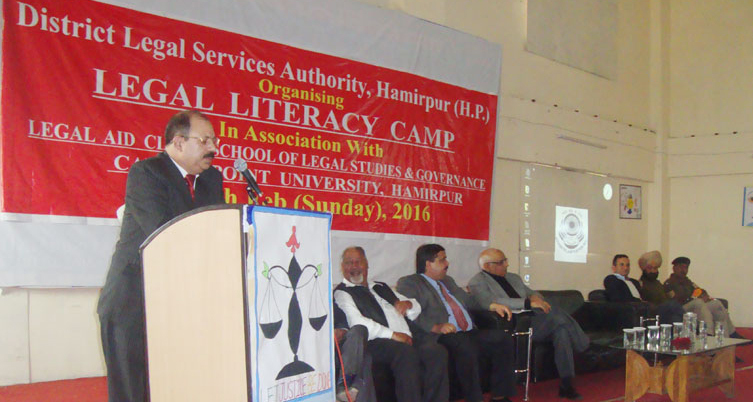 The law-department of the University in association with the Distt Legal Authorities organizes 1 to 2 legal literacy camps in a year, where people of surrounding Panchayats are educated by the Judges, Advocates, University teachers & local Police Authorities about their rights and counsel on different legal matters. The University is registered with UGC INFLIBNET to assist students/researchers and faculty members in their research areas. Since 2012, more than 100 research papers have been published by the faculty members in national/international journals.